I’ve heard some say that styled shoots, meaning a staged event for the purposes of photography, are controversial or unethical. I’ve thought about this a lot and I want to tell you why I disagree. I LOVE styled shoots. I think there is nothing more FUN than getting together with other photographers and having complete control over the day- in a way that you wouldn’t (***and shouldn’t! ***) during someone’s real wedding day. A wedding day is ONLY about serving your clients well. It’s not about the gram or about trying new ideas or making space for experiments. I guess the controversy is that some people think that a styled shoot is duping your clients- that your photography might somehow be different photographing a styled shoot vs a real wedding. Personally, I think clients are smart enough to realize that I won’t be styling their wedding and that I will only be able to photograph what’s actually a part of their wedding. That just because I have a horse in my styled shoot, they won’t expect a horse at their wedding. See what I mean? 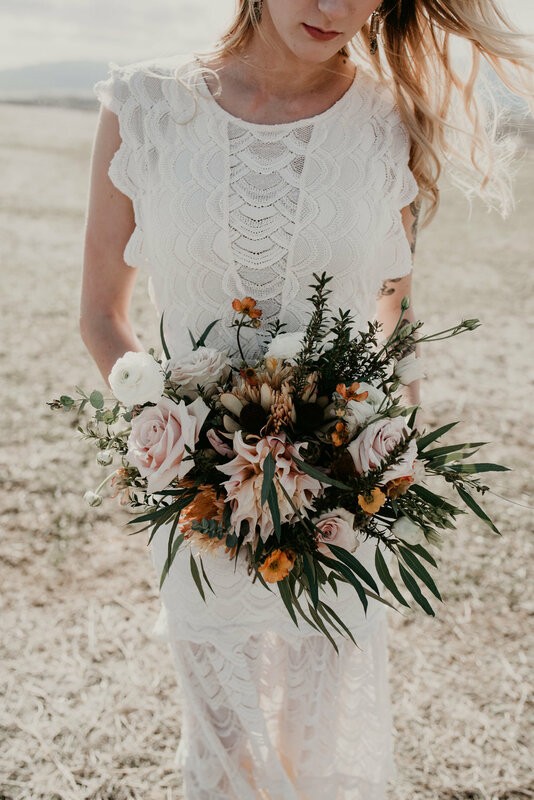 I think this styled shoot is a perfect counterpoint to that argument- this shoot began during the bright daylight, a challenge we often face with real weddings. Connor and Cait are a real engaged couple too! All of our vendors are really wedding vendors contributing their real work to this showcase. Do you think styled shoots are ethical? I’d love to hear from you in the comments! 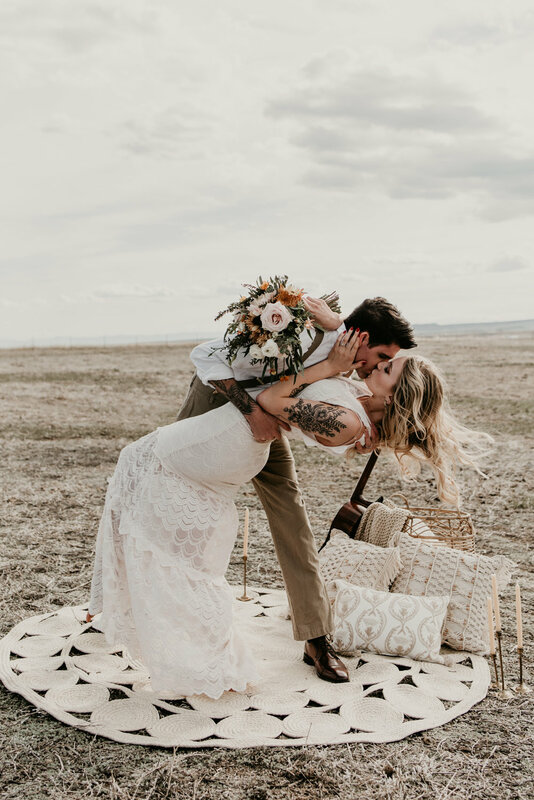 Huge thanks to Amanda of Amanda Renae Photography (@amanda.renaephotography) who is the mastermind behind this elopement styled shoot. I have always wanted to get a horse involved in a shoot, but have not made it happen on my own yet! Amanda did all of this and I just showed up! Towards the end of the shoot she was taking photos while wearing her baby like a supermom! Major props, Amanda!